Retailers such as McDonald's, ASDA and Sainsbury's have warned of higher prices and empty shelves if the UK leaves the European Union without a deal on March 29. A letter to MPs ahead of Tuesday's Commons votes on the next steps for Brexit warned it could be "difficult to restock stores if the supply chain is disrupted". "This complex, 'just in time' supply chain will be significantly disrupted in the event of no deal," the letter said. "Even if the UK Government does not undertake checks on products at the border, there will still be major disruption at Calais as the French government has said it will enforce sanitary and customs checks on exports from the EU, which will lead to long delays; Government data suggest freight trade between Calais and Dover may reduce by 87% against current levels as a result. But what will the actual, noticeable effects of a no-deal Brexit be? Is stockpiling necessary for individuals as well as large companies? Professor Iain Begg, Research Fellow at the European Institute, London School of Economics and Political Science, answers some common questions. 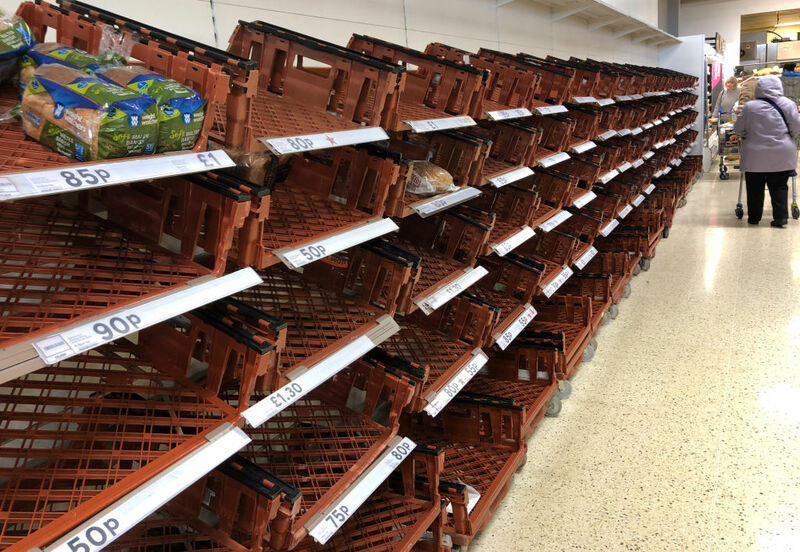 Retailers have warned of high prices and empty shelves in the case of a no-deal Brexit. "The first thing to say is that it's not dramatic, the flow of goods may be inhibited to some degree if no-deal was the outcome. But that's not going to stop things flowing through the British ports like Dover and Bristol in the way they do now. What's more likely is that anything coming in or out of this country may encounter delays. "The reason that is a matter of concern for the likes of the health services, is that some medicines or other medical products have limited shelf life, and if they're held up at a port or held up in a warehouse while awaiting clearance that's going to be difficult. That might apply to certain perishable foods if they're not frozen. It's a matter of potential delays rather than the need to stock up on things because they simply won't be available." Do we need to worry about food supplies? "That was something that used to happen from time to time in the 1970s, and I think we've moved on from that. Can't companies stockpile non-perishable goods to avoid delays? "Warehouse capacity is being bought up at a tremendous rate; even then you're losing money as a manufacturer because instead of your box of components arriving as you need it, you have to store it which costs money. “You have to finance the stock you're storing because you need to buy it in advance. “All these things that start to accumulate become a threat to the viability to the British manufacturing sector." If we get a no-deal Brexit, does trade have to pause while new terms are worked out? 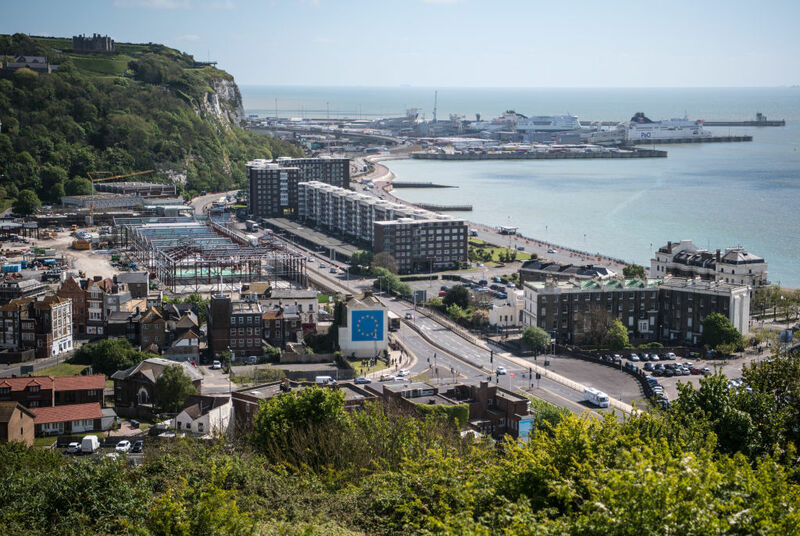 The port in Dover has been subject to scrutiny over how it can handle trade after the UK leaves the European Union. "No, in theory we would revert to World Trade Organisation's terms, and that could happen overnight. “It may cause logistical nightmares for Her Majesty’s Revenue and Customs because they would need to transform systems - but we already do this for the best part of half our trade, which comes from the rest of the world. What kind of Brexit would cause the least disruption to trade of goods? “Some variation on Theresa May's deal beats no-deal any day. "What that intends to do is - to use the expression of the White Paper - introduce frictionless trade. The more friction you introduce to trade, the more likelihood of delays. “If a particular lorry is held up on something we can't anticipate and that contains those lifesaving drugs, that's when you get into difficulty."